When Emma first came to live with us, she was immediately taken with our furry mice and convinced she could train them. I was equally convinced she couldn’t. 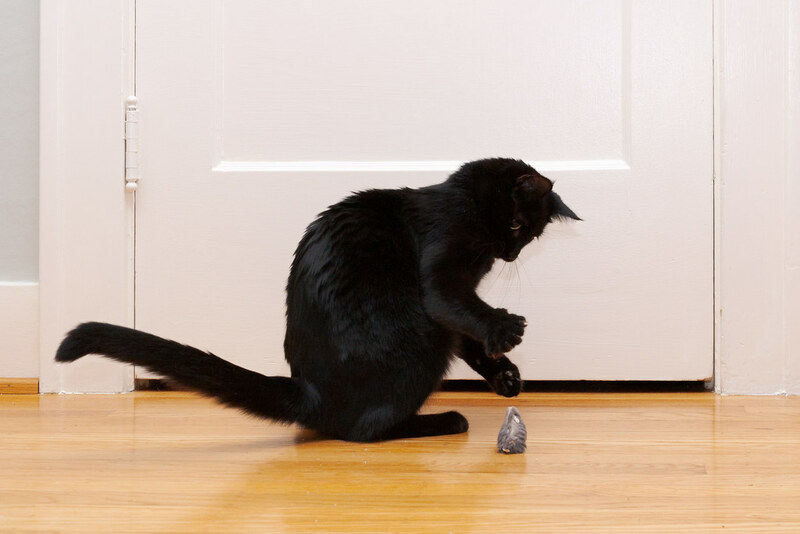 So you can imagine my chagrin one day when I’m playing with Sam and look over and see that Emma had trained one of the mice to stand on its tip-toes. She’s never let me forget it. This entry was posted in Pets and tagged black cat, cat, cat toy, Emma, hardwood, playing, toy mouse. Bookmark the permalink.